Chad is located in central northern Africa at 7‐23° north of the equator, straddling the sub‐tropical climate band called the Sahel. The north of Chad extends well into the arid Sahara desert, whilst the south has a much wetter, and typically tropical, climate. The northern, desert regions of Chad receive very little rainfall all year round. The southern, tropical savannah regions of Chad experience a wet season between May and October (receiving 150‐ 300mm per month), whilst the central sub‐tropical regions have a shorter wet season between June and September (receiving 50‐150 mm per month). In the dry months between November and March, almost no rain falls at all. These seasonal rainfalls are controlled by the movement of the tropical rain belt (also known as the Inter‐Tropical Conversion Zone, ITCZ) which oscillates between the northern and southern tropics over the course of a year. Variations in the latitudinal movements of the ITCZ from one year to another cause large inter‐annual and decadal variability in wet‐season rainfall. The Republic of Chad is dominated by the Saharan desert in its north (covering half of its 1,284,634 km2). The Sahelian ecological zone runs through the center of the country, and is characterized by poor soils and scrubland. In the south, the wetter Sudanian savanna zone is dominated by forest and wooded savannah. The country’s unique position within the Middle Africa region aligns it with both the Congo Basin and the Sahel (as a member of both the Central African Forests Commission [COMIFAC] and the Permanent Interstate Committee for Drought Control in the Sahel [CILSS]). Landlocked, the country is home to about 11.5 million people (2010 estimate), only 28 per cent of whom live in urban areas (UNFPA, 2010). Chad is projected to experience a moderate increase in temperature of between 0.6 and 1.3oC (under a medium warming scenario) by 2023 and 1 to 2.5oC of warming expected by 2050. It is expected that the number of “hot” days and nights will increase, while there will be a decrease in the number of “cold” days and nights (McSweeney et al., 2008; World Bank, n.d.). With respect to precipitation changes, model simulations for the Sahel remain widely divergent; some models estimate that mean annual precipitation could decrease by up to 28 per cent, while others suggest that it could increase by up to 29 per cent by the 2090s. A significant increase in extreme rainfall events (greater than 50 mm in the maximum five-day precipitation) has also been projected—a change that could increase runoff and flooding conditions (McSweeney et al., 2008; World Bank, n.d.). In response to these expected climate change impacts, the United Nations Development Programme is working with the Government of Chad to implement the "Community-based climate risks management in Chad" project. Project activities will work to build local and national capacity to respond to climate change. The main economic sectors in the country are: industry (responsible for 48.8 per cent of GDP, mostly from petroleum products); services (37.6 per cent of GDP); agriculture (13.6 per cent of GDP, principally cotton and livestock). Although agriculture is not the main economic sector of Chad, more than 80 per cent of the country’s workforce is engaged in this sector (USDS, 2010). Chad is among the poorest countries in the world—ranked 163 out of 169 countries on the UNDP Human Development Index (UNDP 2010). GDP per capita in 2008 was US$770 per year (UNDP, 2010), and only 3 per cent of the population has access to electricity. This low level of electrification places huge pressure on forest resources as wood and charcoal remain the principle sources of energy. Exploitation of these resources is contributing to desertification (OneWorld, 2010). The main non-climate environmental pressures facing Chad include population growth, deforestation, overgrazing, poaching, erosion, waste pollution (litter), soil pollution, brushfires and ground and surface water pollution. Unsustainable levels of water extraction and population pressures have contributed to Lake Chad’s loss of approximately 90 percent of its surface area in the past 40 years. The climate of the northern, Saharan desert region of Chad today is very dry throughout the year. Its central plain is hot and dry, with an intense rainy season mid-June to mid-September. In the southern Sudanian savanna lowlands, the climate is warm and more humid, with an intense rainy season from late May to early October. Temperatures in the country range in the winter from 11 to 20oC, and in the summer from 39 to 45oC. Mean annual temperatures in Chad have increased by 0.7oC since 1960 (McSweeney et al., 2008). Agriculture: with 80 per cent of its workforce dependent on agriculture and husbandry, the country is highly vulnerable to climate shifts. It therefore not a surprise that the potential for climate change to bring about a loss of biomass, disappearance of certain crop species, lower yields and increased food deficits is of concern to Chad. Potential outcomes of climate change include reduced agricultural productivity in the south, failed harvests in the Sahelian belt, livestock deaths due to insufficient water resources and reduced fish populations. The length of the growing period could be reduced by more than 20 per cent by 2050, and a near-elimination of rainfed mixed crop/livestock systems could occur within this same timeframe. Of particular concern is the potential for the area suitable for cotton cultivation to be reduced due to economic and climatic reasons. So too is the possible impact of climate change on livestock and pastoralism; Chad projects that climate change could led to abandonment of traditional pastoral zones, modified migration patterns, livestock deaths, loss of genetic diversity, fodder deficits, pressure on protected areas and lower livestock yields. Fisheries: concerns include an increase in the number of subsistence fishers who have abandoned agriculture and livestock for fishing, migration towards Lake Chad and lower fish stocks. Forest resources: climate change could result in lower vegetation cover, degraded soils, deterioration in the ecosystem services provided by the forests, stronger winds and less rainfall. Freshwater resources: stronger flooding, increased demands on water resources, excessive exploitation, increased evaporation rates and significantly increased extraction (with population growth) are cited as sources of vulnerability. Population: increased pressures for the best land, internal and external migration, rural exodus, and greater pressure on urban structures and services. Transport: degraded road networks and increased transportation costs. Industry: increased difficulty in supplying products and inputs. Human health and nutrition: Chad currently has weak access to basic health services among most of the population, leading in part to low life expectancy and high mortality rates (infant, children, maternal), and low capacity to address the threat of disease (including respiratory, malaria, diarrhea, cardio-vascular disease, cholera, meningitis, skin and eye diseases). Climate change will place an additional burden on an already vulnerable system. 1.1 Producing and disseminating relevant and timely climate information to enhance preparedness of national and local stakeholders and threatened communities to act appropriately and effectively in a timely manner in response to climate-related disaster risks. This includes: (i) the establishment of a decentralized, reliable and functioning organizational system for managing climate risk and disasters, and for coordinating response; (ii) the support to the Direction of Water Resources and Meteorology (DREM) to generate bottom-up reliable weather forecasts to disseminate to target population; (iii) the establishment of a communication and dissemination system to reach all end users; and (iii) the training of staff from DREM and other relevant personnel to effectively run the CB-Early Warning system. 2.1 Promote financial risk transfer mechanisms (e.g. combination of microfinance and micro-assurance) to help rural households minimize losses and provide safety nets against climate-related shocks. This includes: (i) structural analysis of market and institutions to determine demand for micro-insurance and related risk-transfer mechanisms; (ii) the selection of schemes and instruments; (iii) the development of clients’ education and capacities; (iii) the testing and evaluating of financial risks mechanisms; and (iv) the development of cross-community peer-review, learning and sharing mechanisms to support replication in other vulnerable communities. The "Chad National Adaptation Plan" project will contribute to the development of a National Adaptation Plan process for Chad. The project’s objective is to strengthen the capacity of Ministries of Planning, Finance and Environment to integrate medium- and long-term climate change risks into existing planning and budgeting processes. LDCF resources will be used by the Government of Chad to mainstream adaptation into national development policies. This project will contribute to the development of a National Adaptation Plan process for Chad. The project’s objective is to strengthen the capacity of Ministries of Planning, Finance and Environment in Chad to integrate medium and long-term climate change risks into existing planning and budgeting processes. Global Environment Facility Least Developed Countries Fund resources will be used by the Government of Chad to mainstream adaptation into national development policies.Two key outcomes are proposed: one, establishing a climate and socio-economic information database to guide climate-resilient policy and decision-making, and two, to the integration of climate change concerns into national development policies, including budgeting, for key sectors classified as vulnerable to climate change. Studies and projections of climate change scenarios suggest that the Republic of Chad is likely to experience moderate to significant changes in temperature and precipitation. Under a moderate warming scenario, the country is projected to experience an increase in temperature of between 0.6 and 1.3oC by 2023, with 1 to 2.5oC of warming expected by 2050. It is expected that the number of “hot” days and nights will increase, while there will be a decrease in the number of “cold” days and nights (Mc Sweeney et al., 2008; World Bank). With respect to precipitation changes, model simulations for the Sahel remain widely divergent; some models estimate that mean annual precipitation could decrease by up to 28 per cent, while others suggest that it could increase by up to 29 per cent by the 2090s. A significant increase in extreme rainfall events (greater than 50 mm in the maximum five-day precipitation) has also been projected—a change that could increase runoff and flooding conditions (Mc Sweeney et al., 2008; World Bank). These projected changes in climate will have profound impacts on economic growth and social well being in Chad. However, present development planning in Chad at the national, sub-national and community levels is not positioned to take climate change concerns into account. In 2010, Chad’s National Adaptation Programme of Action (NAPA) identified key vulnerabilities to climate change-induced temperature and precipitation shifts within major sectors of the economy: agriculture, fisheries, forest resources, freshwater resources, population, transport, industry and human health and nutrition (CMEWF, 2010). For example, climate change is expected to bring about lower yields, biomass loss and disappearance of certain crop species, leading to food and income deficits for the 80% of Chad’s workforce dependent on agriculture and husbandry. The length of the growing period is projected to be reduced by more than 20% by 2050. Climate change is expected to severely affect harvests in the south and in the Sahelian belt. Increasing stresses on water supply, coupled with increased evapotranspiration rates and stronger flooding events are expected. These biophysical changes will increase migration to cities, which will bring additional pressure on transportation, health and other infrastructure. At present, planners in these key sectors lack the means, information and coordination systems to integrate climate change risks and concerns into decision-making processes. Communities reliant on economic sectors that are highly sensitive to climate change, such as agriculture and fisheries, also lack access to such data and means to take climate change risks into account in their planning processes. With Chad having recently undergone a civil war in 2010 and with rebuilding efforts well underway, increasing institutional capacity to cope with climatic changes through the development of a NAP process for Chad is especially timely. Output 1 - Establishing climate and socio-economic information databases to inform and guide climate-resilient policy and decision-making. Output 2 - Establishing required institutional and planning capacities to facilitate the integration of climate change adaptation in relevant budgeting and planning frameworks at national and territorial levels. The major pressures facing Chad include population growth, deforestation, overgrazing, poaching, erosion, waste pollution (litter), soil pollution, brushfires and ground and surface water pollution. Unsustainable levels of water extraction and population pressures have contributed to Lake Chad’s loss of approximately 90 per cent of its surface area in the past 40 years. The second largest lake in Africa, Lake Chad has grown increasingly shallow, thereby furthering its vulnerability to the impacts of climate change. To view progress on Chad's SNC click here. Chad is located in central northern Africa at 7-23° north of the equator, straddling the subtropical climate band called the Sahel. The Republic of Chad is dominated by the Saharan desert in its north (covering half of its 1,284,634 km2). The Sahelian ecological zone runs through the center of the country, and is characterized by poor soils and scrubland. In the south, the wetter Sudanian savanna zone is dominated by forest and wooded savannah. The south has a much wetter, and typically tropical, climate. 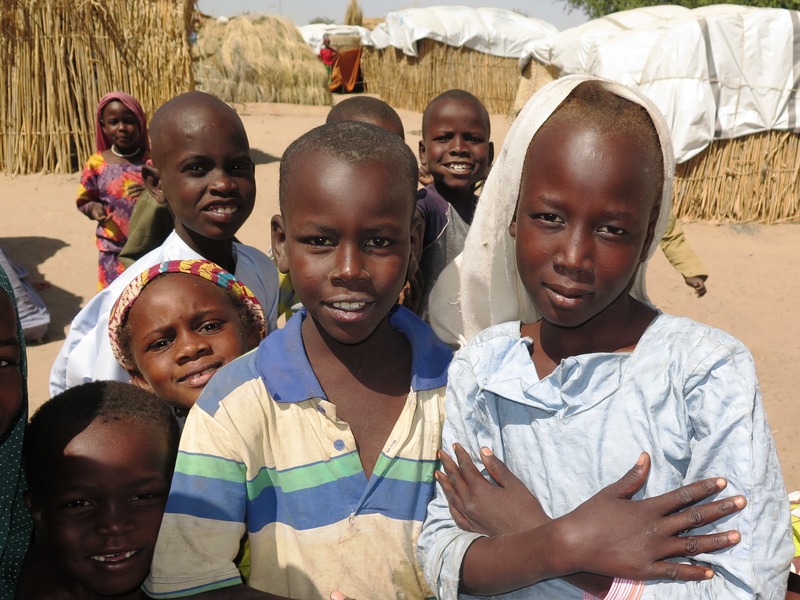 The northern, desert regions of Chad receive very little rainfall all year round. The southern, tropical savannah regions of Chad experience a wet season between May and October (receiving 150-300mm per month), whilst the central subtropical regions have a shorter wet season between June and September (receiving 50-150 mm per month). In the dry months between November and March, almost no rain falls at all. These seasonal rainfalls are controlled by the movement of the tropical rain belt (also known as the Inter-Tropical Conversion Zone, ITCZ) which oscillates between the northern and southern tropics over the course of a year. Variations in the latitudinal movements of the ITCZ from one year to another cause large inter-annual and decadal variability in wet-season rainfall. The country’s unique position within the Middle Africa region aligns it with both the Congo Basin and the Sahel (as a member of both the Central African Forests Commission [COMIFAC] and the Permanent Interstate Committee for Drought Control in the Sahel [CILSS]). Landlocked, the country is home to about 11.5 million people (2010 estimate), only 28 per cent of whom live in urban areas (UNFPA, 2010). The main non-climate environmental pressures facing Chad include population growth, deforestation, overgrazing, poaching, erosion, waste pollution (litter), soil pollution, brushfires and ground and surface water pollution. Unsustainable levels of water extraction and population pressures have contributed to Lake Chad’s loss of approximately 90 per cent of its surface area in the past 40 years. The second largest lake in Africa, Lake Chad is currently very shallow, thereby very vulnerable to the impacts of climate change (OneWorld, 2010). Chad is projected to experience a moderate increase in temperature of between 0.6 and 1.3oC (under a medium warming scenario) by 2023 and 1 to 2.5oC of warming expected by 2050. It is expected that the number of “hot” days and nights will increase, while there will be a decrease in the number of “cold” days and nights (McSweeney et al., 2008; World Bank, n.d.).With respect to precipitation changes, model simulations for the Sahel remain widely divergent; some models estimate that mean annual precipitation could decrease by up to 28 per cent, while others suggest that it could increase by up to 29 per cent by the 2090s. A significant increase in extreme rainfall events (greater than 50 mm in the maximum five-day precipitation) has also been projected—a change that could increase runoff and flooding conditions (McSweeney et al., 2008; World Bank, n.d.). Chad has submitted both its First National Communication (in 2001) and, in 2010, its National Adaptation Programme of Action (NAPA). Both of these documents were prepared by the National High Commission for the Environment. The government has stated that its NAPA is to be implemented in complete coherence with national and sectoral policies on the development of the country. To support integration of climate change adaptation into government policies, the state has also proposed the creation of a new government agency tasked with the integration of the NAPA agenda into the Chad’s human development policies. Chad is currently involved in a high number of adaptation projects relative to is Middle African counterparts, the majority of which are multi-country adaptation projects. Most of the adaptation activities underway are research-based projects aimed at generating stronger climate information upon which policies and adaptation strategies can be based. There is a strong focus on water and agriculture (food security or pastoralism). Existing projects reflect a number of diverse funding sources, including multilateral (African Development Bank, FAO), bilateral (CIDA, BMU) and non-governmental organizations (AfricaAdapt). Given its central position in the Lake Chad watershed, the Government of Chad is leading (and partially financing) the six-year “Lake Chad Sustainable Development Support Program,” a five-country, US$95 million effort to promote sustainable development in the Lake Chad Basin and reverse the watershed’s decline. One of the project’s specific objectives is to improve the adaptive capacity of the lake’s productive systems to climate change, though it is unclear what proportion of activities under this project will relate directly to adaptation. The project will also include a significant infrastructure component, focused on cleaning out the Vrick Canal to increase the flow of water into the lake (AfDB, 2009). Chad was one of eight countries that received funding in the AfricaAdapt Knowledge Sharing Innovation Fund in 2009. With support from the fund, the Association of Pulaar Women of Chad implemented a small project to create a knowledge sharing film on experiences of adapting to climate change in the country (AfricaAdapt, 2009). As a member of COMIFAC, Chad will also benefit from its current project on climate change scenarios for the Congo Basin. The extent of activities being carried out in Chad under the project is unknown, but it is hoped that these scenarios will enable decision makers in the country and throughout the COMIFAC region to adapt and prepare their natural resource management strategies to meet the regional challenges of climate change (BMU, 2010). 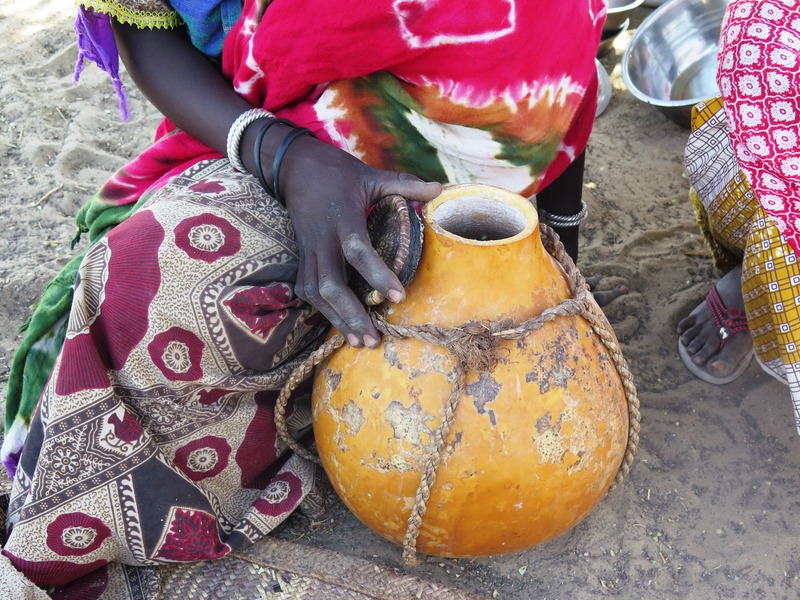 The Food and Agriculture Organization of the United Nations (FAO) has included a commitment to support adaptation in Chad in its Action Pledges to the Nairobi Work Programme. Under this initiative, FAO will undertake a number of research and pilot projects on agriculture-based adaptation strategies. Specific activities to be carried out in Chad are unknown (FAO, 2010a). The Government of Chad, in conjunction with FAO, has produced a National Programme for Food Security (Programme National pour la Securite Alimentaire). Currently under implementation, the goal of the program is to increase production and productivity of the agricultural sector to ensure national food security (FAO, 2009). With funding from the Global Environment Facility (GEF), the United Nations Environment Programme (UNEP) World Conservation Monitoring Centre is implementing a regional project focused on climate proofing protected areas in West Africa. 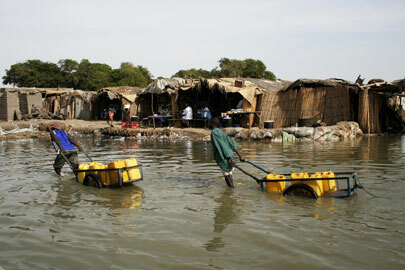 One of five pilot projects implemented as part of this regional initiative will be completed in Chad (UNEP-WCMC, 2009). The Government of Chad submitted their NAPA to the UNFCCC in early 2010. It proposes ten adaptation project and programs, with a strong focus on addressing the country’s vulnerability to climate change in the agriculture and food security sector. This focus is appropriate given the country’s reliance on the agriculture sector and the fact that food security, pastoralism and commercial agriculture are identified as Chad’s top vulnerability to climate change. Eight of the ten proposed projects deal with agriculture and livestock directly, with the remaining two projects (an awareness raising campaign on climate change adaptation and a project to improve the country’s climate monitoring capacity) indirectly aligned with the agricultural sector as well. Most of the proposed projects are research-based, and a number contain a significant awareness-raising component. Most of the proposed projects are national in scope. The projected increase in flooding and extreme rainfall events indicates that there is also considerable scope for climate-related disaster risk management activities in Chad. Conflict and instability in the east of Chad also could increase vulnerability to climate change and complicate the delivery of adaptation programming. The health impacts of climate change are identified as a key national vulnerability in the country’s NAPA, but are not addressed by current or proposed adaptation activities; this could be an area for future adaptation investments. Gender is not a prominent component of any current adaptation project or proposed strategy; it could be given greater attention in future proposals as appropriate. 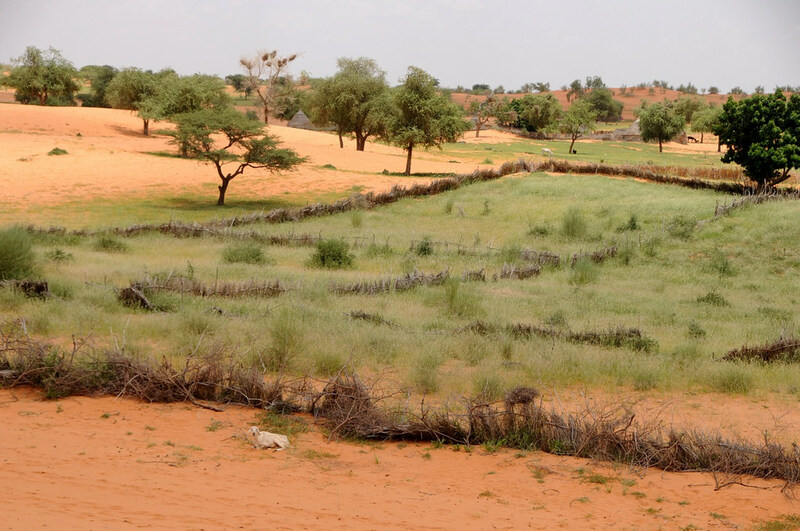 The uncertainties associated with climate change projections for the Sahel indicate that more research is required to understand current and future climate trends. Support for Chad’s proposed National Center for Climate Change Observation might contribute to addressing this gap. Existing projects reflect a number of diverse funding sources, including multilateral (African Development Bank), bilateral (CIDA, BMU) and non-governmental (AfricaAdapt) organizations. More broadly, there is significant scope for expanded national activities on climate change adaptation. With the submission of the Chad’s NAPA in 2010, funding for such work through multilateral channels like the Least Developed Countries Fund should become more accessible. Moreover, current implementing agencies are largely limited to regional and international actors; the capacity of domestic actors to design and implement adaptation projects could be strengthened. Crawford, Alec; Hove, Hilary; Parry, Jo-Ellen. (2011) "Review of Current and Planned Adaptation Action: Middle Africa." Adaptation Partnership / International Institute for Sustainable Development. Adaptation Learning Mechanism [ALM] (2009). Country Profile: Chad. AfricaAdapt (2009). AfricaAdapt Knowledge Sharing Innovation Fund. African Development Bank [AfDB] (2009). 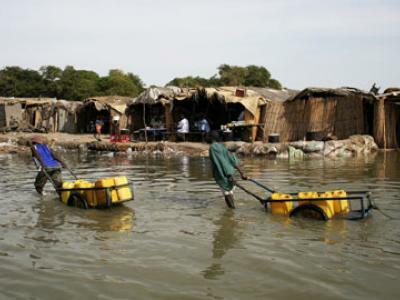 Lake Chad Sustainable Development Support Program (PRODEBALT). African Development Bank: Tunis. Bundesministeriums fur Umwelt, Naturschutz und Reaktorischerheit [BMU] (2010). Climate change scenarios for the Congo Basin. Canadian International Development Agency [CIDA] (2002). Climate Change Adaptation Capacity Support. CIDA: Ottawa. Chad Ministry of the Environment, Water and Fisheries [CMEWF] (2010). National Adaptation Programme of Action. Ministry of the Environment, Water and Fisheries of Chad: N’Djamena. Food and Agriculture Organization [FAO] (2010). The Nairobi work programme on impacts, vulnerability and adaptation to climate change. FAO: Rome. Food and Agriculture Organization [FAO] (2009). Special Programme for Food Security. FAO: Rome. IRIN (2010). West Africa: Call for more aid as 10 million face hunger. IRIN Humanitarian News and Analysis. McSweeney, C., M. New and G. Lizcano (2008). UNDP Climate Change Country Profiles: Chad. United Nations Development Programme and University of Oxford, Oxford. OneWorld (2010). Climate Change in Chad: Briefing. United Nations Development Programme [UNDP] (2010). Human Development Report 2010: The Real Wealth of Nations: Pathways to Human Development. United Nations Development Programme: New York. United Nations Population Fund [UNFPA] (2010). State of World Population 2010: From conflict and crisis to renewal: generations of change, United Nations Population Fund: New York. University of Oxford, School of Geography and the Environment. US Department of State [USDS] (2010). Background Note: Chad. One of the primary objectives of Chad's NAPA is the identification and outlining of urgent and immediate actions for expanding and broadening the range of climate change coping strategies applied to small communities in order to improve their capacity of adaptation to the current climatic variability (e.g. more frequent periods of drought), extreme events, and to future changes.